Cindy Yang with US President Donald Trump in a photo signed by Trump posted on Yang’s Facebook page. An Asian-American Republican group has dismissed from its staff Cindy Yang, who came under scrutiny after New England Patriots owner Robert Kraft allegedly solicited a prostitute at an establishment she formerly owned, and for her apparent business selling access to members of the US administration for Chinese clients. The National Committee of Asian American Republicans fired 45-year-old Yang, who also goes by the names Yang Li and Yang Lijuan, on Friday following a report by the Miami Herald detailing Yang's connections with the White House, committee executive director Cliff Li told the﻿ South China Morning Post. "We do appreciate all her efforts as one of our top volunteers promoting public participation", said Li of Yang, who served as the group's director of community engagement in Florida. Li said her position was terminated when the Asian GOP, as the committee is known, became "aware of all the allegations towards her", but did not elaborate when asked about which specific allegations led to her dismissal. According to the ﻿Herald, Yang's family still owns a number of Tokyo Day Spas in South Florida, online reviews for which refer to the availability of sexual services at the establishments. Yang, who was not charged in the human trafficking investigation that saw the closure of 10 Asian day spas in Florida, has denied any legal wrongdoing. The Jupiter, Florida spa that Kraft allegedly patronised for sexual services, Orchids of Asia Day Spa, was sold by Yang to another owner in 2013. That current owner, Zhang Hua, has pleaded not guilty to charges of racketeering and running a house of prostitution. Kraft has been charged with two counts of soliciting prostitutes at the spa. 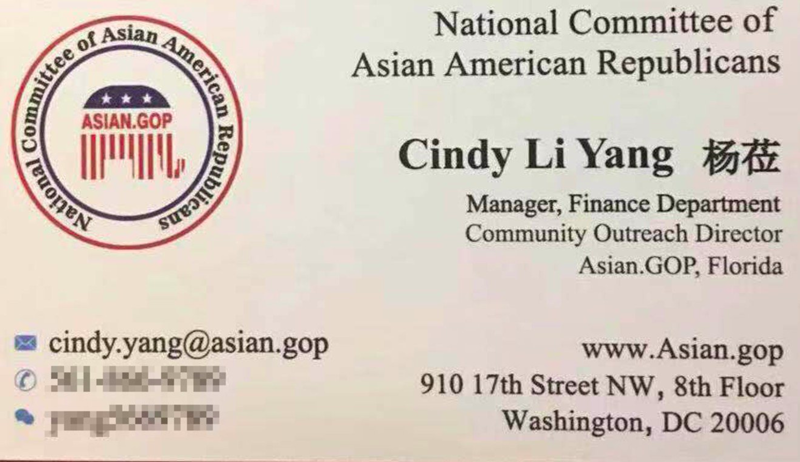 "[Cindy Yang's] private businesses have absolutely nothing to do with our activities", said Li of the Asian GOP. "We wish her well, and hope all [this] media coverage won't be a major discouragement for Asian Americans' participation in political processes." Mentions of her name in meeting minutes posted online by the political group have recently been scrubbed from its website, according to comparisons of live and cached versions of the site. Yang's mobile phone appeared to be switched off on Monday, and she did not respond to a message left requesting comment. Yang was thrust into the national spotlight last week when the ﻿Herald published photos posted to her private Facebook account showing that she had attended US President Donald Trump's annual Super Bowl party to mark this year's National Football League championship game between the Patriots and the Los Angeles Rams. One photograph on her account - which was deleted or made private on Friday - was a selfie Yang took with Trump. Other photographs posted to her page showed that Yang had visited Trump's Mar-a-Lago resort numerous times, attended the White House's Lunar New Year party, and taken photographs with several heavyweight Republican figures, including Donald Trump Jr, White House counsel Kellyanne Conway, Senator Rick Scott of Florida, Florida Governor Ron DeSantis, and former Alaskan Governor Sarah Palin. Another photograph she posted to her Facebook page showed a signed card of thanks from Trump and his wife Melania, thanking Yang for her "friendship and dedication to our cause". "Leaders like you in Florida are the key to fulfilling our bold agenda to Make America Great Again!" the message continued. 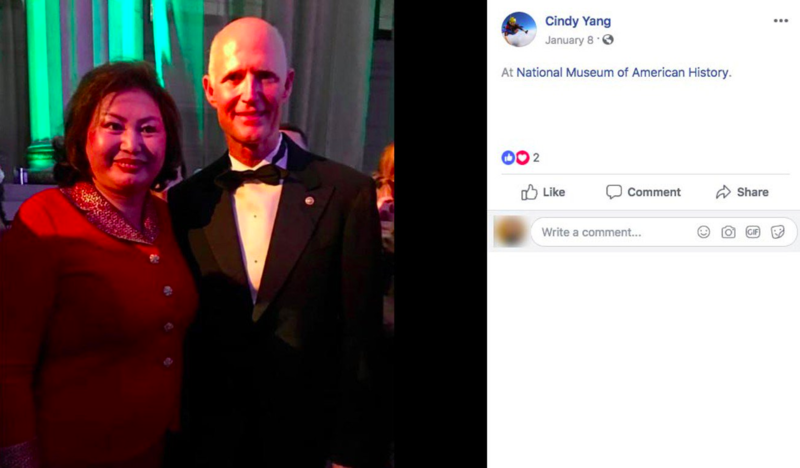 Yang's support of the Trump administration appears to reach beyond her own community outreach work in Florida, however. This weekend Mother Jones reported that Yang had operated an investment firm that offered Chinese clients access to US political figures. A since-deleted website for the company said it had "arranged taking photos with the President" and could organise dinners at the White House and on Capitol Hill, according to Mother Jones. Days before a December 2, 2017 fundraiser for Trump in Manhattan, Yang gave US$5,400 (S$7,300) to Trump's campaign fund and US$23,500 to the Trump Victory political action committee, according to an analysis of federal political contributions by the Herald. US law prohibits political campaigns or committees from accepting direct or indirect donations from foreign entities, and politicians violate the law if they have knowledge or "have awareness of certain facts that would lead a reasonable person to believe that there is a substantial probability that the money is from a foreign national", according to the Federal Election Commission. Beyond her advocacy for the Trump administration and courting of Chinese investors seeking access to it, Yang has also played an active role in a US chapter of a mainland Chinese organisation aimed at furthering the Chinese Communist Party's cause of reuniting the country with the self-governed island of Taiwan. In a biography of Yang posted to a WeChat public account that profiles prominent Chinese living in America, in 2016 Yang became deputy chairwoman of Florida's branch of the China Council for the Promotion of Peaceful National Reunification. The council is a non-profit organisation founded in 1988 under the direction of Chinese paramount leader Deng Xiaoping for the purpose of supporting Taiwan's reunification with mainland China. 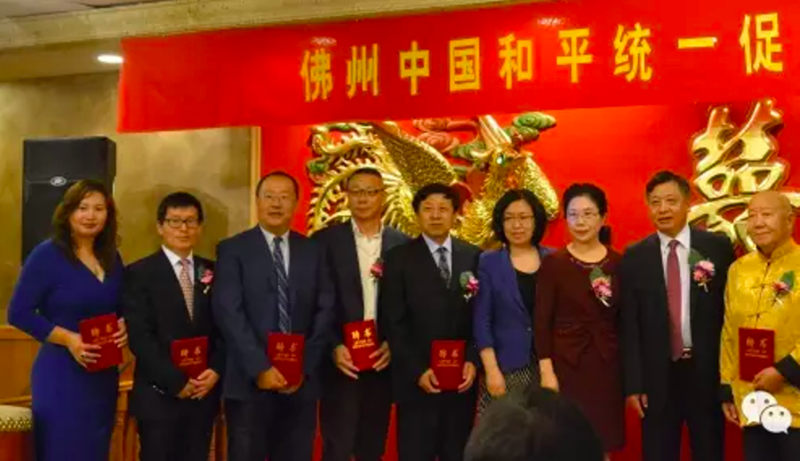 At a June 2016 ceremony - attended by Yang - marking the establishment of the council's Florida branch, Chinese dignitaries in attendance included Li Qiangmin, China's Consul General in Houston, Texas, according to the council's official website. Reunification with Taiwan, long a strategic priority of the CCP, took on renewed urgency in January, when Chinese President Xi Jinping called on Beijing and Taipei to start talks on unification and adopt a "one country, two systems" solution for the self-governed island similar to that now in place for Hong Kong. In the biography of Yang posted on WeChat, she is described as having been born in 1973 in northeastern China's Harbin province, and having come to the US in 1999 as a student.